You might be one heck of a salesperson, or you might be a master marketer. But how do you know that? A gut feeling, perhaps? Sales or marketing skills only matter to a business if that business understands the value those skills provide. More succinctly, sales or marketing only matter if they work, and the only way you'll know if they're working is if you measure them. With that, here are a few key metrics that will help you determine the worth of your practice's marketing and sales efforts, allowing you to make better decisions about future initiatives. HPA The Catalyst will offer the first course in the LAMP leadership development certificate program series this fall on Oct. 4–5, 2014 at the Kessler Institute for Rehabilitation, Inc. in West Orange, New Jersey. Participants will take an inward look at themselves; understanding their leadership styles and attributes will assist them to take the next steps in creating their personal leadership development journey. A journey that will make them successful in their relationships to influence others, achieve shared goals and resolve conflicts. "The quality of the instruction, the superior experience of the instruction team, and the diversity of the class, was nothing short of inspirational and humbling." Leadership 101: Personal Leadership Development: The Catalyst for Leading Within (formerly "Lead Wherever You Are") is a two-day course that emphasizes the development of leadership behaviors fostering autonomous practice, accountability, professional values, diversity, and ethics. 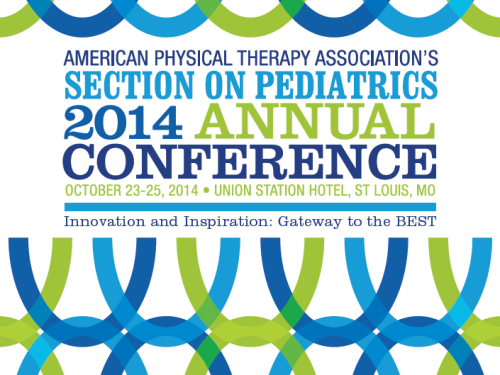 Come out and support your state chapter of the APTA and your profession! Minimum suggested donation is $10 (students $5). Learn Myofascial Release from the Experts! Three exciting John F. Barnes' Myofascial Release Seminars coming to The Carolinas! Join the over 100,000 therapists trained in this unique and effective Approach. Consider this: You can polish your mind with knowledge until it is a blinding shine, but if you don't externalize it, no one will recognize it. Success is all about being noticed. You get noticed by showing the goods. By adopting the following habits, you'll televise your qualities to the world. If a patient doesn't pay his health insurance premiums, the insurer doesn't have to pay the provider for care rendered during the grace period. That means that up to two months of provider services may not be reimbursed. Every year, 1 in 3 adults aged 65 and over in the U.S. experiences a fall. In 2010 alone, 2.3 million nonfatal fall injuries among older adults resulted in emergency department visits, and 662,000 of these patients were hospitalized. But a study by researchers from Purdue University details how a smartphone could prevent falls from occurring. By covering a wider range of screenings, a newly christened, limited version of Medicaid coverage could attract — and improve the health of — hundreds of thousands of South Carolinians beginning Aug. 1. S.C. Healthy Connections Checkup is an expansion of what has been called Family Planning coverage, but it's not to be confused with the much-debated federal Medicaid expansion. On the contrary, it's one of several programs pushed by Gov. Nikki Haley and S.C. Department of Health and Human Services director Tony Keck instead of Medicaid expansion. There are some familiar healthcare reform notes sounded among The Iron Yard's second class of start-ups. The digital health accelerator wants to support the development of companies in the Southeast that can respond to some of the challenges facing hospitals and the life sciences industry. It's part of an annual program started last year. Among the targets for these companies are improving communication for patients and doctors to address potential questions that arise between appointments, gaming to improve stroke recovery, improving medication adherence and diagnosing chronic conditions earlier such as pneumonia and coronary artery disease. The APTA Board of Directors recently amended its current Board guidelines on physical therapist scope of practice to explicitly include dry needling. The APTA Board guideline titled "Guidelines: Physical Therapist Scope of Practice BOD G02-14-18-12" provides an outline of the various tests, measures, treatment interventions, and activities that are performed by licensed physical therapists. The guidelines are intended to educate the public, payers, and other providers about the scope of practice of physical therapists, as well as to provide guidance to state policymakers when considering the legal scope of physical therapist practice. The revised APTA Board guideline specifically lists dry needling under the section that outlines the various treatment interventions performed by physical therapists. Dry needling will also be specifically included in the next edition of the Guide to Physical Therapist Practice 3.0 (3rd edition), to be released this August. The inclusion of dry needling in both of these APTA documents comes on the heels of increased challenges from other providers seeking to restrict the ability of qualified physical therapists to utilize this important treatment intervention. APTA has published two white papers on the performance of dry needling by physical therapists, and this year's APTA State Policy and Payment Forum will include programming on the state scope challenges related to dry needling. Under a proposed rule setting the Part B physician fee schedule for calendar year 2015, Medicare would expand payment for certain medical and mental health services furnished via telemedicine technologies. "We are proposing to add the following services to the list of services that can be furnished to Medicare beneficiaries under the telehealth benefit: annual wellness visits, psychoanalysis, psychotherapy and prolonged evaluation and management services," the Centers for Medicare and Medicaid Services says in the proposed rule. Healthcare payers portray the industry's historic shift to e-payments as a win-win proposition. But providers fear there may be a snake in the digital transfer Garden of Eden. A 2012 Institute of Medicine report estimates annual waste in the healthcare system at about $750 billion, with paperwork and administrative bloating tallied at about $190 billion. A new study provides the first research-backed injury-prevention advice for beginning runners: Start very, very slowly. And if you are substantially overweight, consider losing weight first. Every runner worries about injuries. With time, most learn how to bob and weave through the semi-regular muscle soreness, and the less-frequent-but-more-worrisome sharp pains. From basketball and tennis to lifting weights and running marathons, there are all kinds of hobbies that involve intense physical activity. Such pastimes can be great for staying in shape and boosting overall health. However, folks who focus on fitness, whether by exercising or playing sports on a regular basis, do run the risk of incurring a sports injury. When it comes to recovering from a sports injury, whether it's due to raking or running, physical therapy can play a key role in the healing process — and the sooner one begins, the better.